Material: Polyester,It's cozy, soft lining provides warmth on a rainy day. 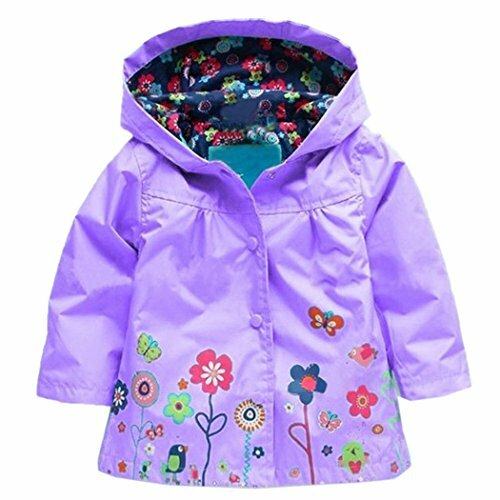 Warm and cute lining with pretty flower; Outside vibrant colours match with gorgeous bright little flower and butterfly detail, and inside lining is a great contrast with more flowers, all details are showed the cute and fashion. Attached hood and snap closure ensure that the rain will stay out. Occasion - For girls aged from 1 to 6, all kinds of outdoor activitives in rainy days like hiking, skiing, running, cycling etc. 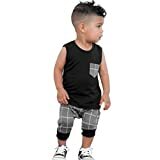 Size:90:(Age: 1-2Y): Shoulder: 26cm/10.1", Full Length (Shoulder~Bottom): 38cm/14.8", Bust: 70cm/27.3", Sleeve: 30cm/11.7"
Size:100:(Age: 2-3Y): Shoulder: 27cm/10.5", Full Length (Shoulder~Bottom): 40cm/15.6", Bust: 72cm/28.1", Sleeve: 32cm/12.5"
Size:110:(Age: 3-4Y): Shoulder: 28cm/10.9", Full Length (Shoulder~Bottom): 43cm/16.8", Bust: 74cm/28.9", Sleeve: 35cm/13.7"
Size:120:(Age: 4-5Y): Shoulder: 30cm/11.7", Full Length (Shoulder~Bottom): 45cm/17.5", Bust: 76cm/29.6", Sleeve: 36cm/14.0"
Size:130:(Age: 5-6Y):Shoulder: 31cm/18.5", Full Length (Shoulder~Bottom): 47cm/18.5", Bust: 78cm/30.4", Sleeve: 38cm/14.6"